WE HAVE A FRONT DESK SERVICE TO CHECK YOU IN AND ASSIST YOU WITH ANY QUESTIONS OR SPECIAL REQUESTS WHILE IN WHISTLER! THE BEST LOCATION IN WHISTLER! Northstar is a very 'Family Friendly' property, year round heated outdoor pool and hot tub. Large deck around the pool for relaxing. Minutes from all that Whistler has to offer. A short 10-minute walk to both mountains or the FREE MOUNTAIN SHUTTLE stops right across the street from the Northstar Complex. This townhome is a NON SMOKING / NO PET Vacation Home. Overlooking green space our two level home features 1000 square feet of comfort. The main level has a Living Room, gas fireplace,40 ' HD LCD TV, DVR free Wifi. There's a covered balcony with gas barbecue, table, and chairs. Well stocked Kitchen, Dining Room table for 6. A Queen Murphy Bed which is easy to pull down, a full bathroom and utility room with washer and dryer. There is a boot dryer to keep your feet happy. The second level has two separate bedrooms, king in master bedroom and 2 twins in the second bedroom (twins can be made into a King upon request). Each bedroom has their own 32' HD-LCD TV. New Luxury Down Duvets for the Winter months. Relax in the Jacuzzi tub, large bathroom off the bedrooms. Golfers delight in the 3 world class courses, children's parks and lakes for recreational use. ENJOY OUR HOME AWAY FROM HOME! We are an active family that enjoy the great oudoors. Quiet, scenic location. Watch the birds from your balcony. This unit is very well maintained, Answering machine in master bedroom, New Screens on Windows, New Makeup Mirror in Upstairs Bathroom, Board games, SHOMI (similar to Netflix), PVR, video on demand ,boot dryer,many extras. We had such a great time in Whistler and this condominium could not have been more perfect for our family of 4. Conveniently located to the village, with easy access to the slopes via the free shuttle that's just across the street. The gigantic hot tub was a nice amenity to have access to after a day on the slopes. The condominium was well appointed, the boot dryers were such a great bonus! Very comfortable beds, Keurig coffee for the essential morning caffeine intake were both very appreciated. We would stay here again without hesitation. The property was comfortable and had everything we needed. It was also convenient to the village. The property was was well kept and convenient to the village. The condo had everything we needed and was very comfortable. We walked to dinner and shopping. The shuttle bus to the lifts was close by and frequent. Our rental car never left the underground garage. The hot tub and pool area was great and uncrowded. I would totally look to stay here again. 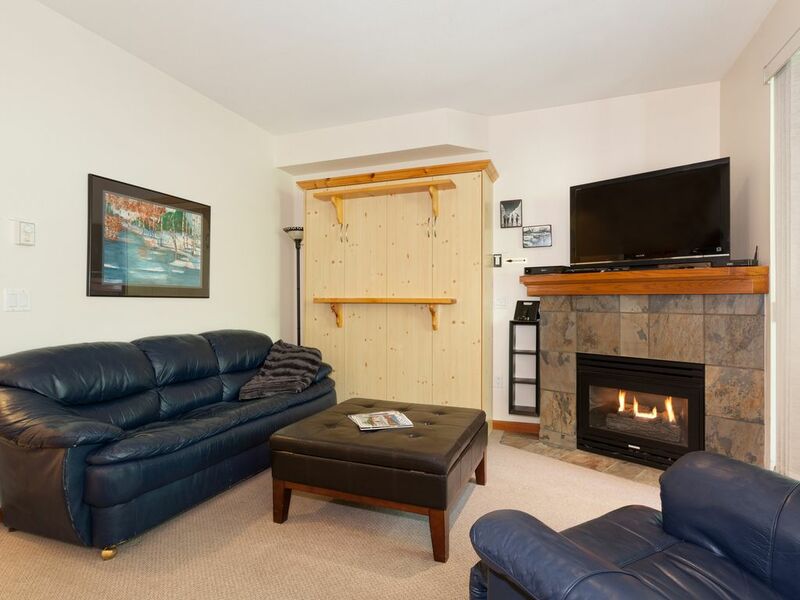 This is a great cozy condo, with all the benefits of being in Whistler, while being a bit removed from the noise and bustle of the central village. In the past I have staying in the village or close enough to walk to the gondola or a ski in/out location, so I was skeptical of using the bus. But this property was so close to the bus stop and the free bus was so consistent, I never once regretted the decision. The host was very responsive, and helpful. I needed a package delivered during my stay, and they went above and beyond to get it delivered. We ran out of Paper Products after 2 days (By no fault of theirs...the cleaning company forgot to restock) And they made sure everything was stocked with more than enough by the time we returned from the slope. Great heated Pool and huuuuge hot tub! 100% Would recommend to a friend. North Star is by far and away the best condo complex in Whistler regardless of the season. Right across the road from Marketplace (IGA, Bottle-O, Chemist, Maccas etc) and the free shuttle in winter (however we regularly walked the 5-10mins to or from the lifts to warm up and or stretch the legs, 3min bike ride). The pool and spa is fantastic after a big days skiing or mountain biking and the general feeling of the North Star surrounds is second to none. Andrea provided excellent tips for enjoying our stay in Whistler and she was very easy and friendly to communicate with both before and during our stay. My second stay in North Star, my first at this Condo. We stayed with our two young girls and this place was perfect for our needs. Clean, comfortable (great beds) and everything that we needed as a family provided. Cozy fireplace, central heating all kitchen facilities. Space to dry clothes and a boot dryer. Pool and spa on site too. An easy stroll over the road to the free regular shuttle into whistler village if you don’t want to walk 15 minutes. The local supermarket over the road is superb and plenty of coffee shops to hand. The host was warm and welcoming via email communication and overall this condo helped our time in whistler be superb. Will come and stay again! Great location. Liked being so close to the village restaurants. Shuttle ran very often; never waited more than 3 minutes. Condo is well appointed. Everything was exactly as described in the listing. Hot tub was nice and hot and a welcome respite after a day of skiing. World Class Mountain Bike Park, Fabulous Zip Lining Sites, Open Air Concert Site and Large Children's Play Centre, Family Fun Zone near by, Bars, Restaurants and so much more within a few minutes walk. Rates are subject to change till the reservation is confirmed. We only charge 5% tax. All other taxes and fees are included. Our front desk service will check you in, take a REFUNDABLE $500 DAMAGE DEPOSIT, issue you a personal door code, give you an information package and will be there to assist you with any questions or special requests.